Nike Air Max 90 Essential sneakers for men. In our opinion it is the most nice Air Max 90 of this time. With the main colours black and infrared. We have again a gorgeous Nike Air Max 90 Essential for men inside! This time it is released in the nice color combination black, grey and white. Very nice Nike Air Max 90 Essential "Ultramarine" sneaker for men. Released in the great vintage Nike OG colors: white with infrared and blue. 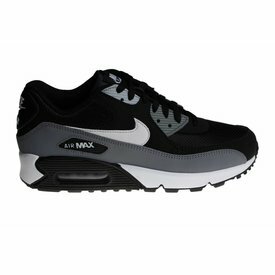 Nike Air Max 90 Essential athetlic shoes for men. Made of suede leather, textile and rubber. We have this men sneaker directly discounted!